What’s that you say? You already have your two front teeth? When it comes to practicing, performing, and recording some of the following are daily needs and some would just be really nice to have at hand. The Speaking Global Translator contains over 450,000 words and 12,000 phrases, and speaks 115,000 words in recorded human voice. Ideal for communicating on almost any continent, it features 12 languages and translations to and from French, German, Spanish, Italian, Portuguese, Russian, Polish, Turkish, Arabic, Japanese, Chinese (Mandarin) and English. Plus, a voice recording feature allows you to record custom words and phrases appropriate to travel or business needs. It’s ultra small and looks like a gadget, but make no mistake — the R-09 is a serious, top-quality professional recorder. Capture source material at a crystal-clean 24-bit resolution with your choice of 44.1 or 48kHz sample rates. You can record and play back in MP3 format as well (up to 320kbps). Once recorded, your files can be monitored through the R-09’s headphone jack and/or exported to a computer via USB. The Director’s folder is identical to the Standard choral folder except for one important difference. The inside strap is detachable so the folder can lie flat on the music stand. As with the Standard folder, this is the ultimate choral folder. 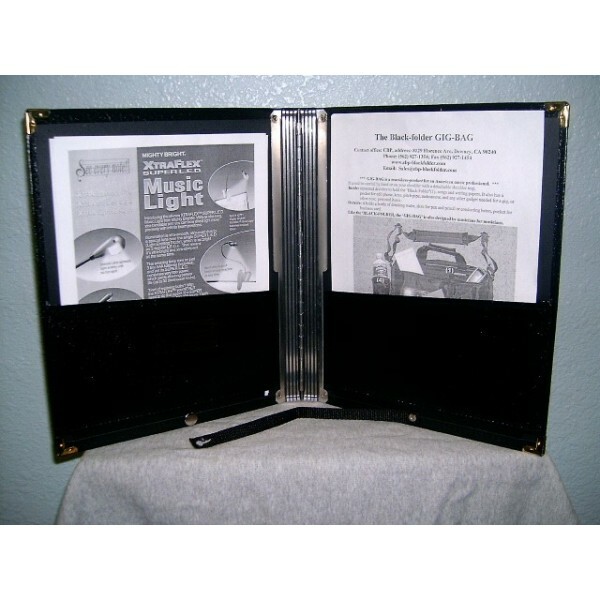 Originally designed for the Los Angeles Master Chorale by engineer Andrew Black, this folder is built from years of experience to provide the best features for all singers and choral groups. It has all the features found on the Standard folder including: – Size: 12- 1/2″ x 10″ – Two deep pockets to hold most choral music – Slot for pen / pencil – Reinforced by an aluminum hinge with 10 elastic strings to hold music – One nylon hand strap outside on the back for hand strap and one nylon strap inside to keep music from sliding down. – The difference in this folder is the inside strap can be unbuttoned to lay flat on a music stand or piano. These are the best things that have ever happened to oratorio folders. This collection offers a variety of greatest moments from the annual opera competition. The film includes footage of Karita Mattila, Marius Brenciu, Bryn Terfel, and Dmitri Hvorostovsky. Every singer needs to be able to craft a brilliant and stylish thank-you note. 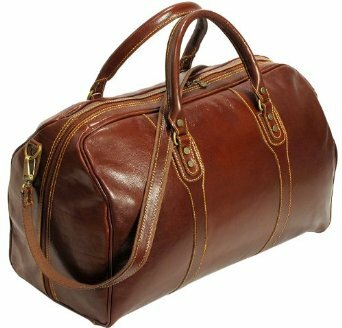 Start with a good classic design. It makes everything easier. To inform, engage and entertain the U.S. opera audience with special emphasis given to opera on radio, television, CDs and video. The CDs are a great resource to help you practice a natural speaking accent. Make sure you get them in all the singing languages: French, German, Italian, and maybe even Russian! You know how persnickety singers can be about humidity levels. Help keep your little diva happy and healthy with this one. It boils water to a pure steam vapor up to 96% bacteria free. This mixes with dry air in the cooling chamber to release warm, moist air into the room. Singers almost always have a beverage in hand. See the travel mug above? Exactly. You can’t go wrong with this dual coffee and tea gift basket. Ideal for sore throats, laryngitis, pharyngitis, hoarseness, cough, expectoration of thick mucus and a feeling of dryness in the throat. Yoga and singers have had a happy relationship for many years. Benefits like better breathing, stress relief, increased strength, and better posture attract singers to the ancient discipline. The video is beautifully filmed: you watch the waves roll in as Yee demonstrates yoga poses on a sandy beach. The yoga practice awakens and stretches your muscles gently, leaving you balanced and focused. “Yoga is the foundation of my day,” says Yee. Just add your own half-liter water bottle, and plug the unit in anywhere in North America or Europe using the included transcontinental travel AC adapter and exchangeable plugs. How perfect is this for those terribly dry hotel rooms? Organize your videos by dragging and dropping into folders you’ve created, or use the automatic date-stamped folders. Edit and trim your favorite videos clips or even add your own music, all using FlipShare’s easy editing tools. Create video greeting cards or use the Magic Movie feature to make movies with the click of a button. Capture photos using the easy Snapshot feature. You can grab a still-image photo from any of the 60 frames that comprise each second of your video. Post online by sharing directly to Facebook, Twitter, and YouTube. Here is your gadget for internet-sensation-success. 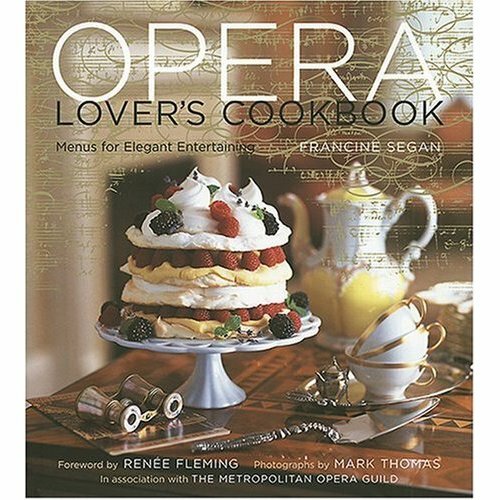 Want more ideas of what to get your burgeoning opera star? Check out our BACK TO SCHOOL FOR DIVAS shopping list. What a great article! I reposted it on The Opera Insider’s Facebook page and forwarded it to a friend looking for a gift for her opera-loving father-in-law. Thanks for the great ideas! Thanks for following the Sybaritic Singer! I appreciate you sending the Opera Insiders over here too. I hope you’re having a great holiday season. Make sure you soak up all that warmer weather in Chile! Thanks for this great article. I’ve also reposted it on our Facebook group. Perfect if you need a last minute gift for a singer! Thanks for letting us know about Your Accompanist. Another lovely addition to the Holiday Gift Wishlist!